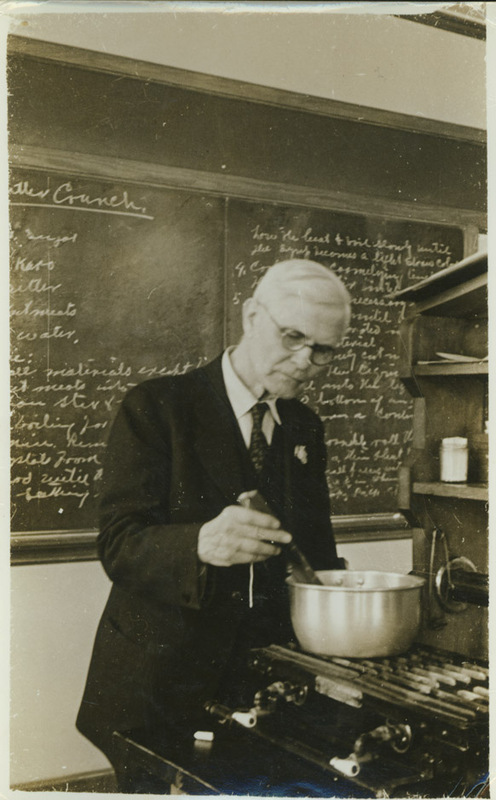 Walter W. Chenoweth, the founder of the Horticultural Manufactures Department in 1918, the predecessor to the Food Science Department, was a key figure in the development of research and education in modern food science. Hired as a pomologist at Mass. Agricultural College in 1912, Chenoweth had no background in food science, but encouraged by Frank A. Waugh and supported by Frederick Sears, he developed a course of study from scratch, learning and standardizing many of techniques himself while teaching. His curriculum and the processes he and his students developed for preserving food contributed to easing the food shortages brought on by World War I. Under the aegis of the new department, Chenoweth initiated a program in community food preservation, instructing students and members of the public in canning and other techniques. In 1929-1930, he loaned his services to the Grenfell Mission in Newfoundland, setting up canneries and teaching the methods of food preservation to would-be colonizers in Newfoundland and Labrador. Faced with a dearth of solid literature in the field, he published a textbook, Food Preservation (1930), which was a standard text for many years. The University named the Food Science building in Chenoweth’s honor after it was built in 1965. Chenoweth retired in 1941 and died four years later at the age of 75. . The Walter Chenoweth Papers includes many of Chenoweth’s published works on canning and food preservation including his 1930 text, Food Preservation, as well as a typescript text called How to Preserve Food, eventually published by Houghton Mifflin in 1945. Also in the collection are clippings and memorabilia from Chenoweth’s trips to Newfoundland while working at the Grenfell Mission and a set of glass lantern slides. 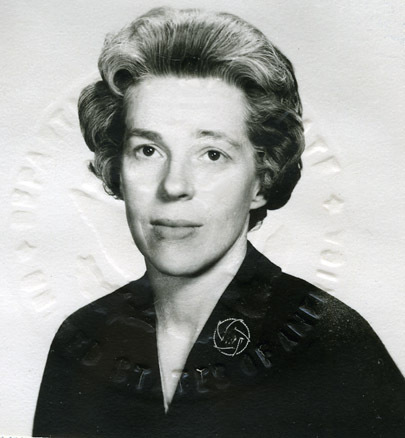 A noted scholar of the social impact of the German Reformation, Miriam Usher Chrisman was born in Ithaca, New York, on May 20, 1920. With degrees from Smith College, American University, and Yale, she served for over thirty years on the faculty of the Department of History at the University of Massachusetts Amherst, becoming a well-loved professor and treasured mentor to a generation of students. A faithful and colorful correspondent, the bulk of Miriam Chrisman’s papers consist of letters written to family and friends stretching from her college days at Smith through the year before her death. The bulk of the correspondence is with her husband, Donald Chrisman, an orthopedic surgeon who was enrolled at Harvard Medical School during their courtship. Soon after the Chrismans married in November 1943, Donald left for active duty in the Navy on the U.S.S. Baldwin. The couple’s war correspondence is unusually rich, offering insight on everything from the social responsibilities of married couples to their opinions on the progression of the war. Of particular note is a lengthy letter written by Donald during and immediately after D-Day in which he provides Miriam a real-time description of the events and his reactions as they unfold. Later letters document Miriam’s extensive travels including a trip around the world. . In 1986 demonstrations against CIA recruitment on the University’s campus led by activists Abbie Hoffman and Amy Carter, daughter of former President Jimmy Carter, resulted in the takeover of two school buildings and more than sixty arrests. The CIA on Trial Project was a group established in Amherst to support the individuals arrested as well as to raise funds for their legal defense. News clippings covering the protests, fliers, memos from the University’s administration, and correspondence with Chancellor Duffey capture the mood on campus during and after the protests. The entomologist Charles F. Clagg was born in Barnstable, Mass., in 1904 and received his bachelor of science degree from the Massachusetts Agricultural College in 1927. Although never able to complete his graduate degree, Clagg enjoyed a long and productive career in entomology. Listed as a graduate student at MAC in 1929-1930, Clagg took part in an extensive collecting trip to the Philippines in 1930 and 1931. Beginning in June 1930 near Calian in Davao del Sur (Mindanao), Clagg spent several months collecting flies in and around the active Mount Apo volcano, in the Lawa and Calian river valleys, and in the Lalun mountains, traveling to the eastern peninsula of Davao early in 1931. 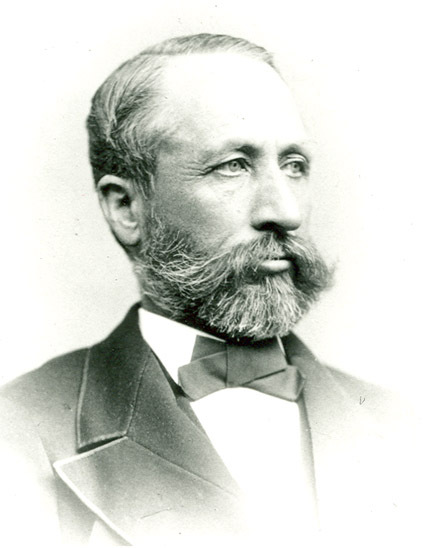 He remained in the Pacific region later in his career, working as an entomologist for the U.S. Navy. 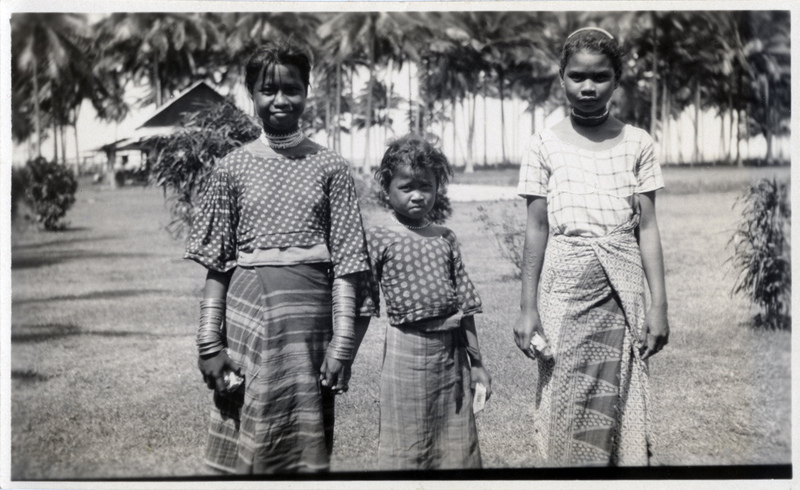 The twenty photographs taken by Charles F. Clagg in 1930 document his entomological collecting trip to Davao, Mindanao, in the Philippines. Primarily personal in nature, rather than professional, they were taken on Clagg’s visit to a coconut plantation run by American expatriates Henry and George Pahl and illustrate the local sights in Davao, including work in harvesting coconuts and the production of copra, the production of Manilla hemp, a horse fight at Calian, and Manobos who came to the plantation trade. Also included are three photographs of Clagg’s quarters while collecting high in the Lalun Mountains. The captions provided by Clagg on the back of each photograph have been transcribed verbatim. Born on Jan. 4, 1863, and raised in Montague, Mass., Charles Wellington Clapp entered Massachusetts Agricultural College as a freshman during the fall 1882. Shouldering the standard coursework in agriculture and engineering, Clapp graduated with the class of 1886 and went on to a career as a civil engineer in Greenfield, Mass. Written by Clapp to family members, mostly his sister Mary, during his undergraduate years at MAC, the 31 letters in this collection provide a lighthearted and engaging glimpse into the academic work and extra-curricular activities of a typical early student at Mass Aggie. Noteworthy among these letters are early references to football being played at the college and an effective hand-drawn map of campus, both from 1882. Receiving her Ed.D in Foundations in Education from UMass Amherst in 1982, Marie Sally Cleary has been a member of the Associates Program for independent scholars based at the Five Colleges since 1983. In her book Myths for the Millions: Thomas Bulfinch, His America, and His Mythology published in 2007, Cleary provides an in-depth study of the man behind the landmark work, The Age of Fable, which has been responsible for introducing many Americans to classical mythology since its original publication in 1855. The collection consists of drafts and subject files related to the research and writing of Cleary’s book.